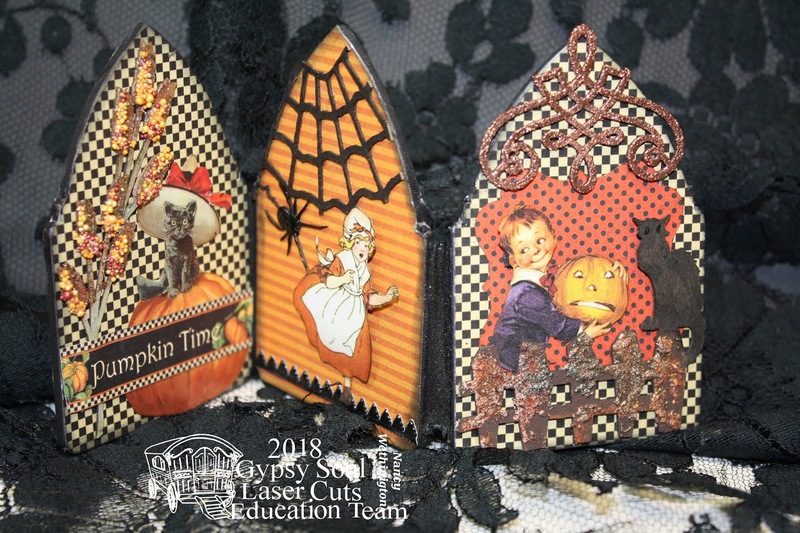 Gypsy Soul Laser Cuts: A Mini Halloween TripTych . . .
A Mini Halloween TripTych . . . Happy September Everyone. 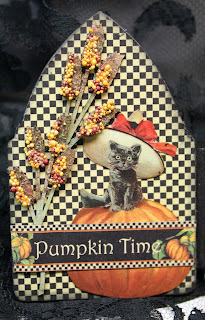 This time of year brings thoughts of the Fall and Christmas season and I am working on mini-books and tags for workshops. 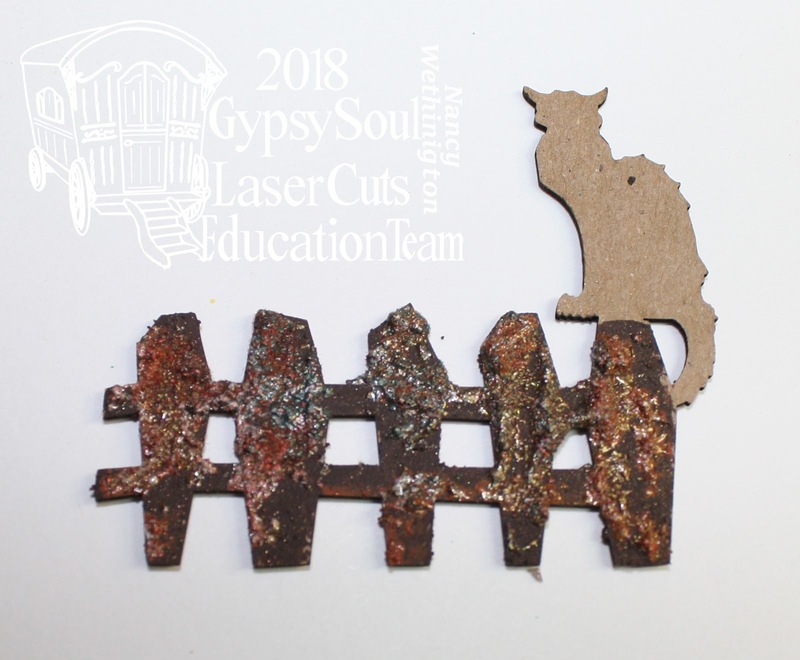 But a break with this bitty triptych by Gypsy Soul Laser Cuts was a must. 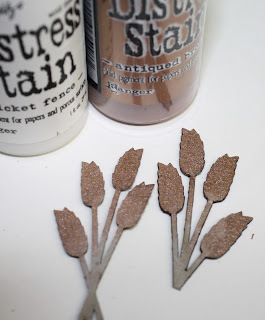 I love doing mini projects to get me in the spirit of the season. I began with the Arch Top House Silhouettes. This set comes with three pieces. Each piece measures 2.5" wide X 4" tall. 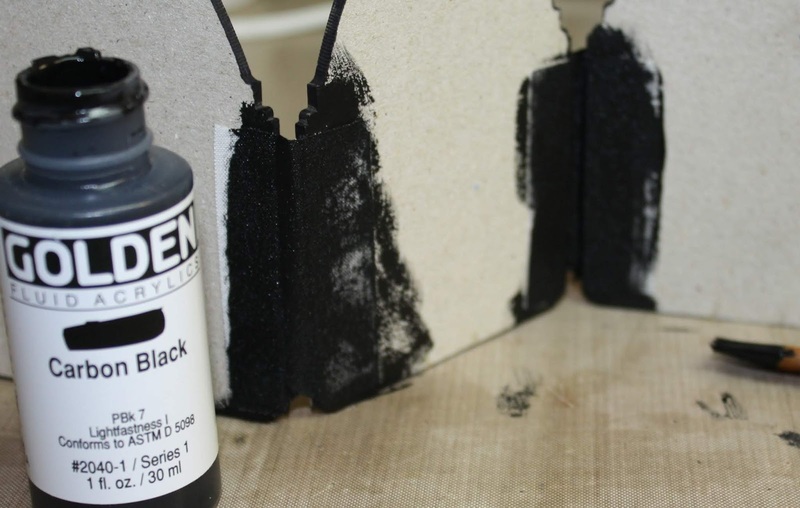 First I used a large black Sharpie and edged the chipboard. 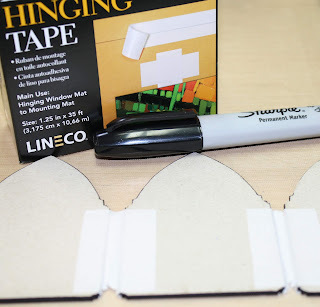 Then I used Hinging Tape to hold the 3 houses together. I kept 3/8" between each piece to make folding easier. Tape was applied on both sides of the chip. 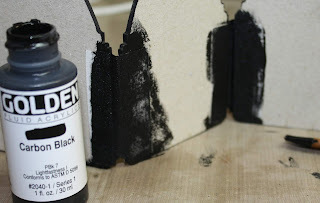 Then, because the hinging tape would be seen after decorating, I painted the hinging tape black (and obviously not in a pretty way!). 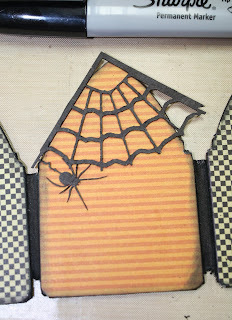 Next I covered all arch top houses with decorative paper. 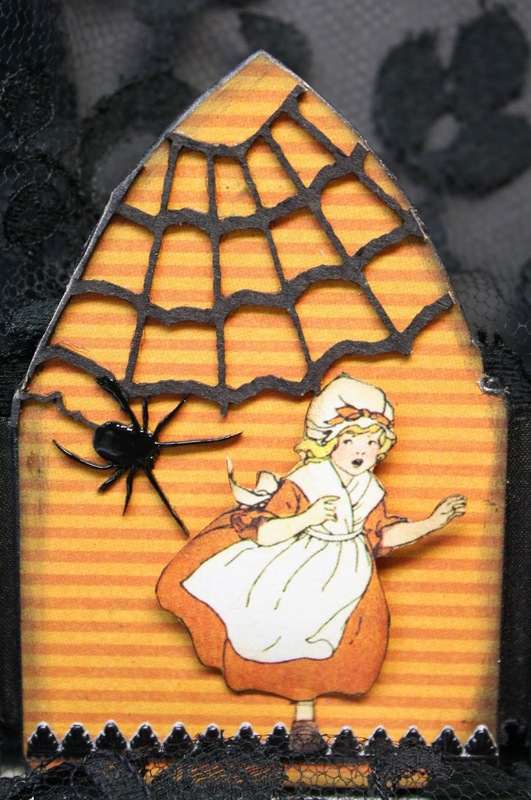 Using Creepy Corners 1, I *painted* the spiderweb black with a sharpie. Because the top of the Arch Top Houses are not exactly square, I applied the spiderweb off kilter, glued it down and cut off what was overhanging. Of course Halloween calls for a black cat. I chose Rickety Fence With Cats for my next panel. I applied Rust Effect Paste to the fence followed by Seth Apter's Baked Texture and heat set all. Then painted the cat black and added Stickle eyes. 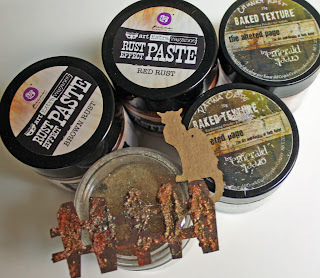 I love the way the Baked Texture and Rust Effect Paste looks on the fence. 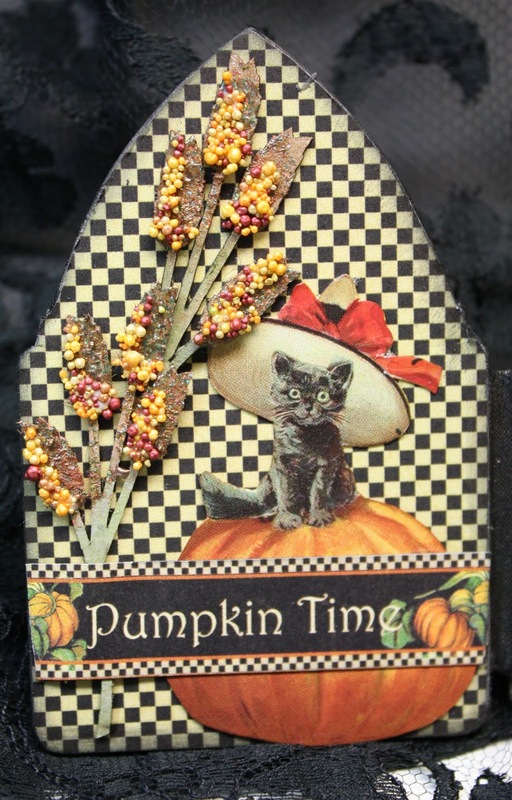 I could easily use Victorian Corners 2 on every project I create. They are gorgeous. This next panel was topped off with a corner after embossing with copper embossing powder. 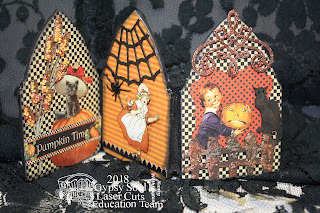 On the last panel I used the stalks from the Fall Shape Set. First, the stems were stained with Picket Fence and the buds with Antique Brass. 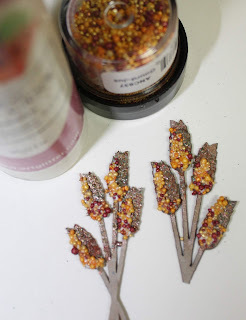 Then I applied prills to each bud. So now I'm ready for Halloween (well not quite but it's a start). Gypsy Soul Laser Cuts Craft Group Facebook Page. Stop by, join and see what everyone is up to. Love this! Thanks for the clear instructions. I love them Nancy! So cute ! 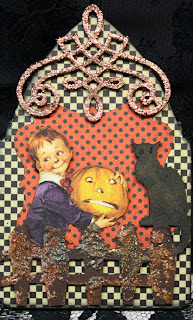 A bit of Halloween . . .